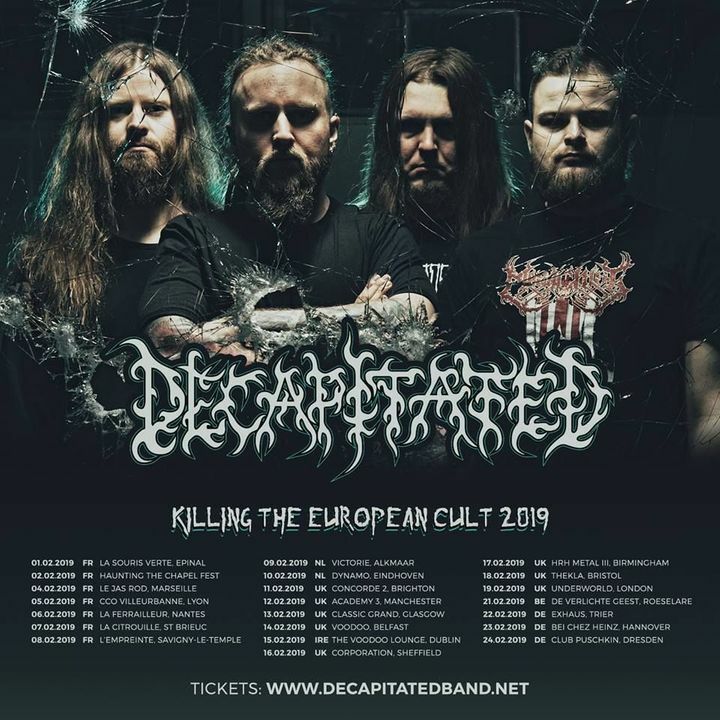 Killing The European Cult Tour 2019 starts soon! Get your tickets and see you in the pit!!! An amazing night, all 3 bands on fire. Manchester for torn a new one 3 times in one night! great show! Sound for thy art is murder was lower than I liked, and Id prefer a different venue, but decapitated was awesome! Really only came to see Decapitated, and they were brutal! Great show although the sound clipped from time to time. Decapitated had fun on the stage, Vader was tight as fxxk! And who were that Ghost/Portal band that supported? Hate were absolutely amazing, Decapitated not so much.